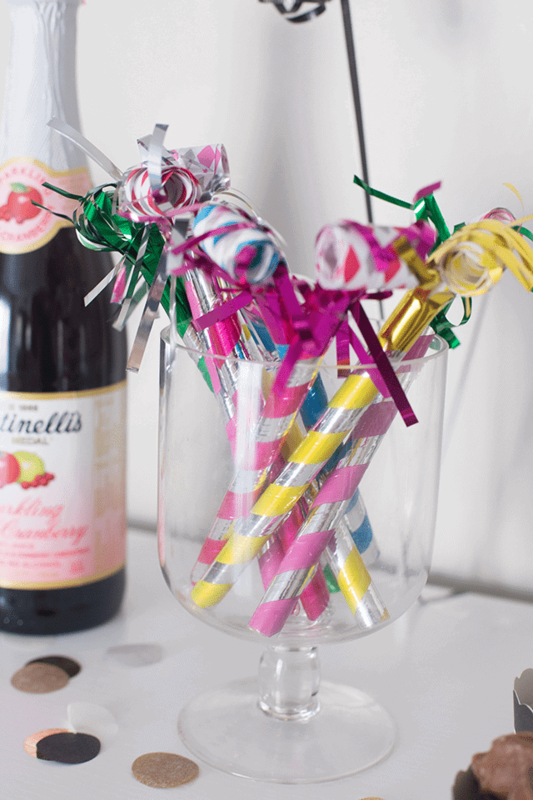 Simple New Year's Party Ideas! - So Festive! 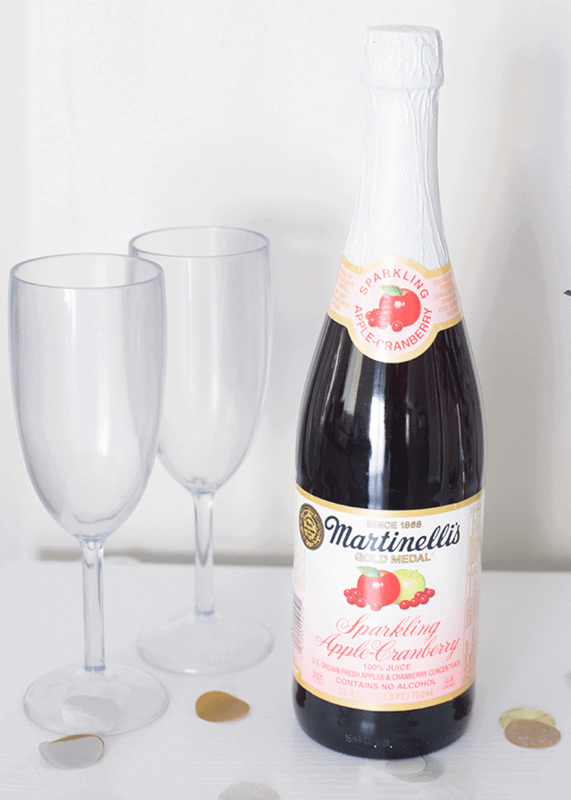 Simple New Year’s Eve Party Ideas for the entire family! 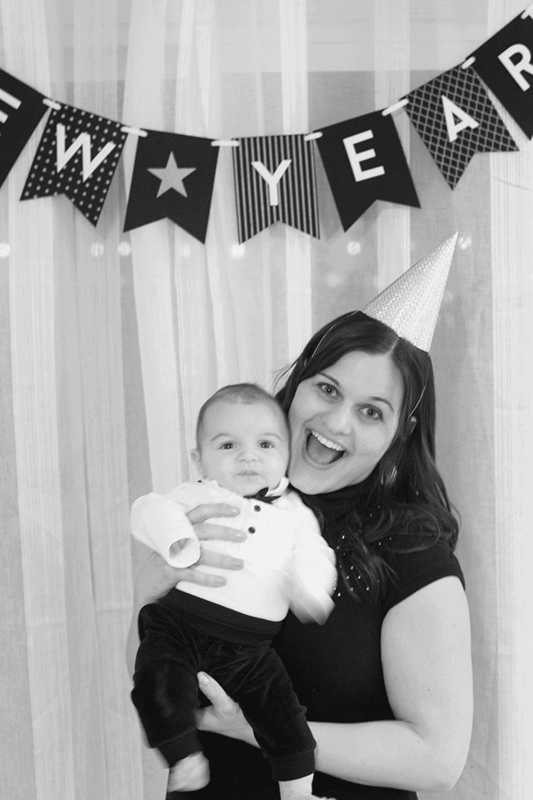 Happy 2 0 1 6! It’s almost 11 am and everyone is still sleeping! I guess that’s a sign of a fun New Year’s Eve, right? We choose to stay here and party at home. And party we did. We had lots of appetizer type food (my husband’s favorite part of New Year’s) and then we played lots and lots of games. One Night Ultimate Werewolf is our newest favorite (thanks Santa!). It kept us laughing for hours! And made counting down until midnight go really fast. After banging pots and pans to celebrate the New Year and doing a toast, we got right back into games and played Dominion until way too late (or early, however you want to think about it!) We don’t get to play games as often as we like, so we had to take advantage of all the extra game players we had. 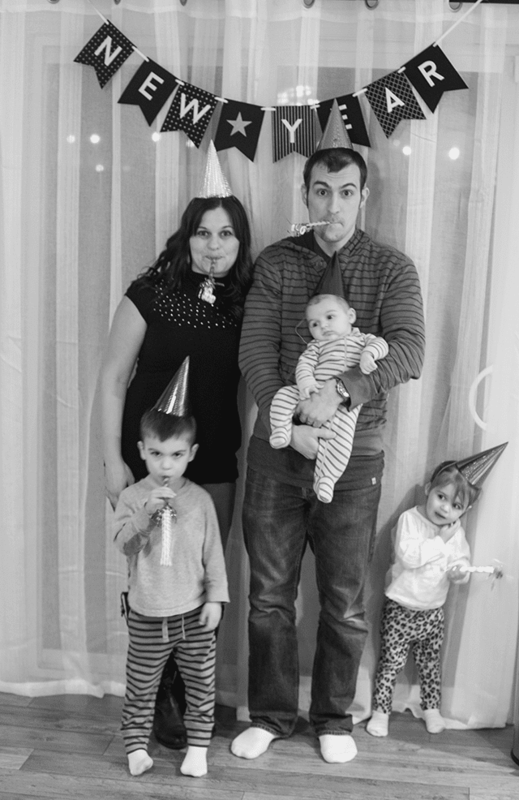 That’s half the fun of New Year’s Eve is staying up late and having fun with family. 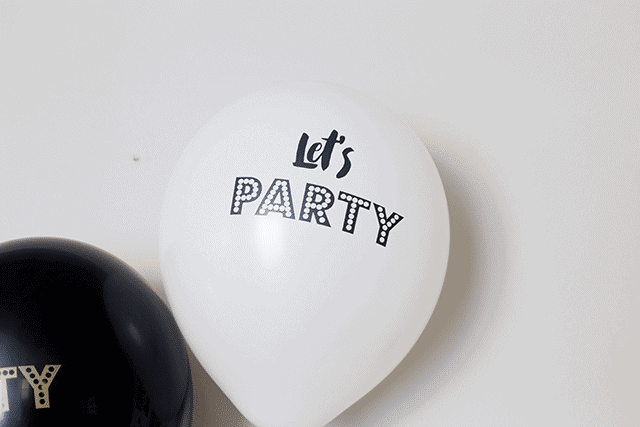 It’s not a party with some decorations. I kept it super simple this year by putting up our New Year banner and getting a few balloons blown up. I actually had 3, but as I was setting up for the party, my 2 toddlers got a hold of the confetti-filled balloon and POP! All of the confetti came out. 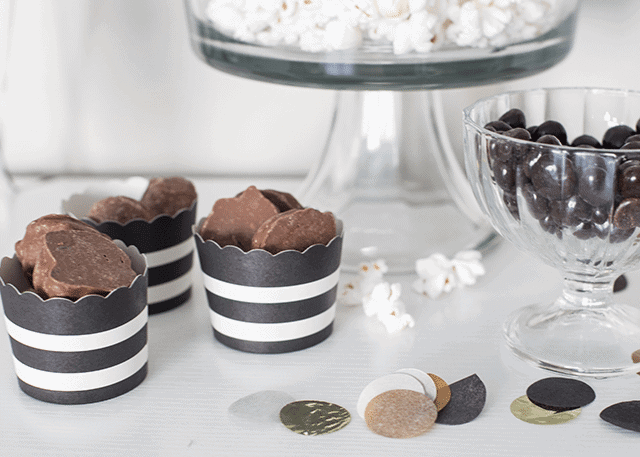 I usually use a black, gold, silver color scheme for our decorations. 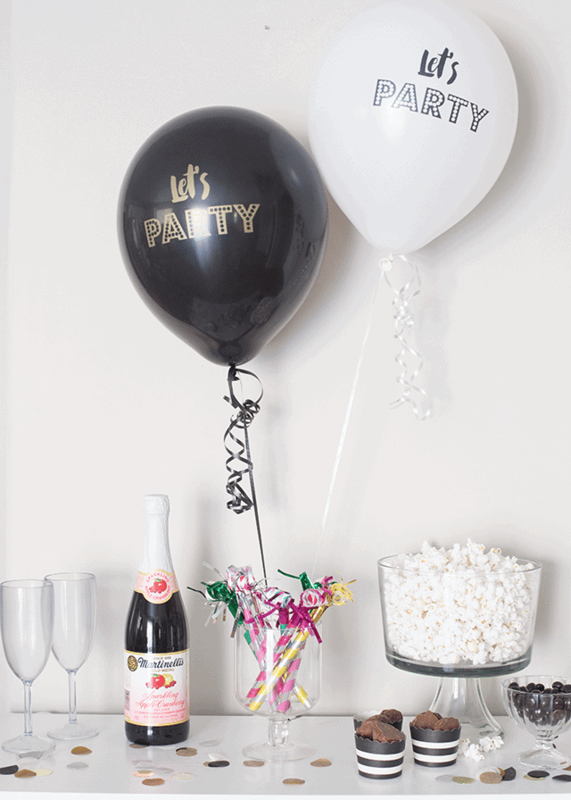 That way I can reuse party decor from year to year. They cried and I laughed. It was like a little pre-party! 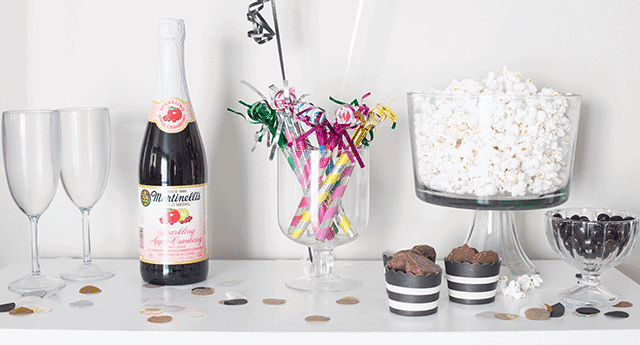 We improvised though–the confetti was perfect for our treat table! I had the cutest little boyfriend for the night. And he proudly wore his tux until he threw up all over me and him. I hope you had a fun and safe New Year’s Eve. Here’s to an awesome new year! !